Although the legislation does not specifically set out requirements relating to fleet safety, employer obligations are reasonably interpreted as including company-related or company-provided vehicles and the drivers of those vehicles. reduce the costs associated with fleet-driver accidents and incidents. Defensive driver training refers to techniques of vehicle control through theory and behind-the-wheel instruction. 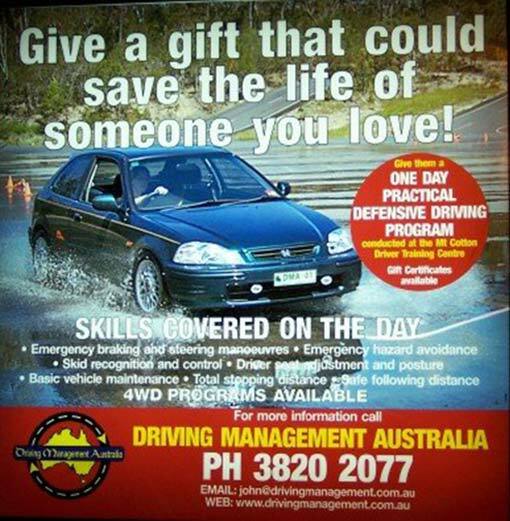 This should not be confused with defensive driver education, which refers to the teaching of safe driving behaviours through the use of communication mediums such as posters, pamphlets and advertisements. Defensive driver training remains the most popular fleet safety intervention method, as participants feel that this is a part of a fleet safety program that can positively influence their own driving skills. In addition, where driver training is implemented as a company-wide program, supported by senior management, it communicates to employees that the company is committed to fleet safety and driver well-being. To ensure the greatest impact, an effective defensive driving program should be tailored to suit the needs of an organisation’s fleet as well as be accompanied by regular follow-up communications, which reinforce the objectives of the program. It should be noted however, that defensive driver training programs should not be seen as a cure-all for all fleet safety problems. In no other area of business or pleasure would you hand over (for eg) $35,000 worth of equipment without some guidance or training to preserve both the equipment and the employee. Yet individuals and employers regularly hand over car keys to a “driver” without providing guidance as to its operation. Is it any wonder then that the majority of car accidents relate to issues that could easily have been prevented through effective training and education? Work-related deaths occur in a motor vehicle.